Synergy’s FUGU Air Furniture – illuminated inflatable furniture that combines simplicity, quality and design. The FUGU concept makes it possible to have versatile and simple furniture without compromising comfort. Air Furniture is easy to transport, put up, take down and store. Since its creation, FUGU’s vision has been to create not only inflatable furniture, but also furniture that is environmental friendly and 100% recyclable. The materials used are very resistant and ensure a long product life. Inspired by the name of a Japanese blowfish, which can expand and inflate to change appearance, FUGU’s designs and collection are also characterized by classic Japanese simplicity and lightness with clean lines and contemporary shapes. We have put together some of the most common questions we get asked about our FUGU Inflatable Air Furniture. Please click here for more information. 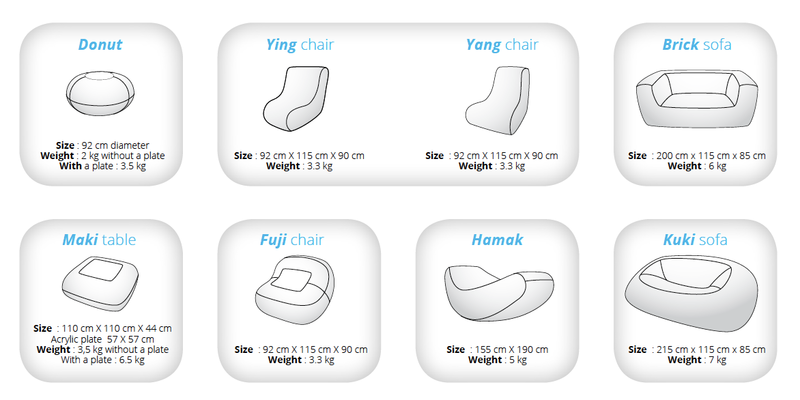 Lets compare FUGU Air Furniture vs. Classic Furniture; Volume to transport and store, Workforce need to set-up and handle furniture, Time to set-up, CO2 emission (kg CO2) and Transports costs. Please click here for more information. Synergy’s FUGU Air Furniture combines simplicity, quality and design. Without compromising comfort Air Furniture is easy to transport, put up, take down and store. Available in a range of complimentary individual seats, settles, loungers, stools and tables. 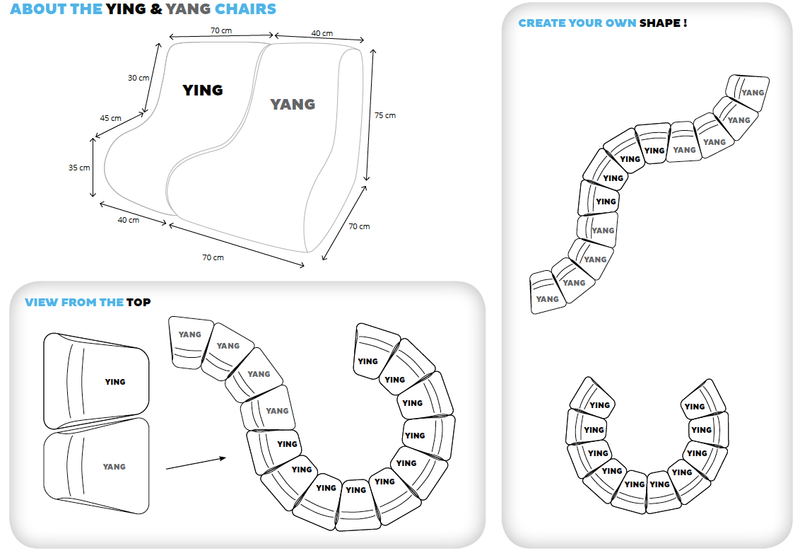 Synergy’s FUGU Air Furniture is environmental friendly and 100% recyclable. The materials used are very resistant and ensure a long product life.